Shelley Machine & Marine is more than a typical repair shop – it’s a family legacy. Established in 1973 by John Shelley, Sr., a lifelong marine engineer and machinist, Shelley Machine & Marine originally has always targeted “the little guy.” Shelley Machine & Marine has now grown into a much larger operation. At Shelley Machine & Marine, we are fully equipped to meet all your repair needs. Because of our quality workmanship and excellent service, we have earned a positive reputation in the industry. 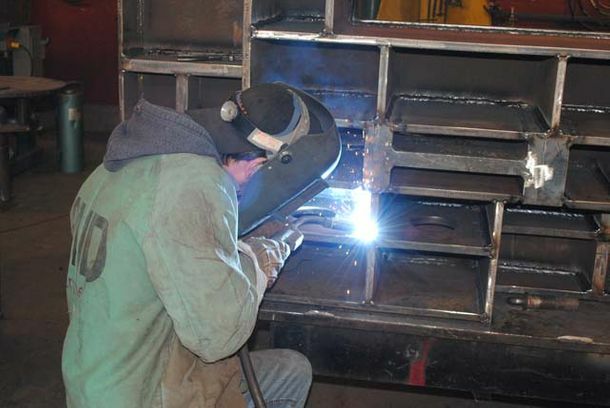 Servicing both professionals in the shipping industry and individuals just needing small repairs to their equipment, Shelley Machine & Marine specializes in fabricating, CNC machining and manufacturing pressure vessels. Our company caters to all of Canada and parts of the United States. We offer machining, new parts, repair and off-site maintenance, as well as welding/fabricating. We even have seven-day service, including evenings and weekends, if needed for emergency repairs. Customers who are familiar with our work have come to expect the highest quality workmanship, the best customer service, and the fastest delivery times. Ask anyone affiliated with the industrial or marine business where to find a reliable repairer, and you’re likely to hear Shelley Machine & Marine mentioned! Call today and see the difference over 40 years of experience makes! In business for 40 years.